It’s been over 5 years since VXX, the first volatility exchange traded product arrived on the market. Since then 36 additional funds, using both Exchange Traded Notes (ETNs) and Exchange Traded Funds (ETFs) structures have been introduced. Terminations and closures have whittled that list down to 22 (as of 24-Sept-2014). Does the fund do what the user expects? Is the fund big enough to have reasonable bid/ask spreads and be an attractive business for the company to support? Is the fund closely tracking its index? I included other data (e.g., ETN vs ETF, option availability) that didn’t significantly impact my rankings, but might be useful information. For more information on all of these funds, including company websites and fund prospectus see volatility tickers. In this segment, the user wants the fund to track the percentage moves of the CBOE’s VIX index as closely as possible. Other than impossibly slow learners, everyone else has figured out that these funds are only suitable as very short term investments (days at most) because they are typically ravaged by the roll losses associated with contango in the VIX futures that underlie these funds. UVXY for example has had a compound annual growth rate of -93% since its inception in October 2011. Given the lack of big negative market moves the last three years it’s not shocking that these funds haven’t shown big gains, but I am surprised that the VEQTOR based funds (VQT & PHDG) have not done better given their high allocation into the S&P 500 (as high as 97.5%) during quiet markets. Even allocations as low as 2.5% to long volatility have dragged returns down significantly. In 2013 the S&P 500 went up 26.5%, while VQT went up 12%. 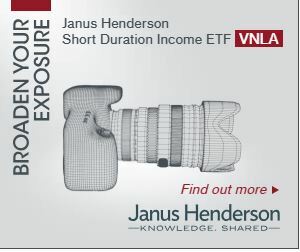 In June 2013 VelocityShares introduced two hybrid funds that have a different spin. They attempt to capture most of the gain in the general market, but have a long/short volatility component that should significantly reduce the drawdown during corrections / bear markets. So far their performance has been impressive with SPXH delivering a gain of 20% and the heavier hedged TRSK going up 16.9% since inception, compared to a S&P 500 gain of 27%. For more on these new funds see “Hedging the S&P 500“. It was only natural that funds emerged to take advantage of the painful erosion that VIX tracker funds suffer most of the time. Of course you can short VIX trackers directly, but they are often tough to borrow, many investors can’t (e.g., in an IRA) or won’t short them. In addition, without re-balancing, a successful short position loses leverage. These inverse funds re-balance daily, so their leverage stays at -1X. The challenge with an inverse position is not getting toasted when volatility spikes. The unremitting bull market the last couple of years has been very kind to the inverse volatility funds. Things will get rough at some point—these are not buy and hold investments unless you have a stomach of steel. Alternatively have an exit strategy or an effective hedge strategy in place. The medium term volatility funds invest in the 4 to 7 month VIX futures. They used to be a good way to bet on longer term volatility trends, or to hedge short positions in short term volatility. However starting in 2010 the contango in medium term VIX futures started being a significant drag on these funds. Recently that drag has been in the 2% to 3% per month range. See VIXCentral for the current numbers. I think these funds should be avoided. They either have halted share creation, have a very low upside potential, or a failed strategy.